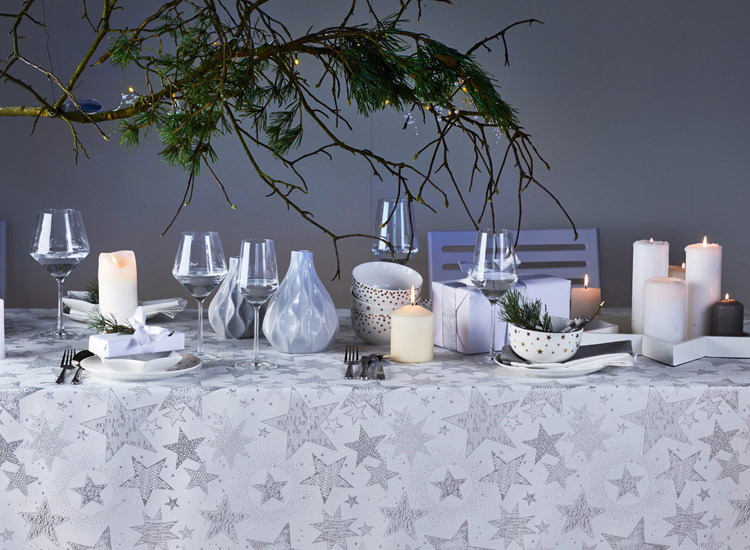 FASHION-DRIVEN AND CLASSIC LINES WITH FOUR SEASONAL COLLECTIONS. 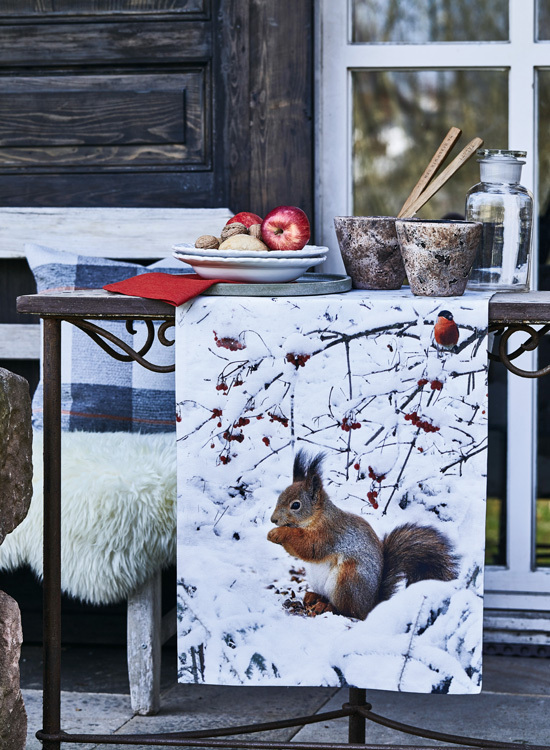 CONTEMPORARY DESIGN FOR EVERY SEASON AND ANY OCCASION. 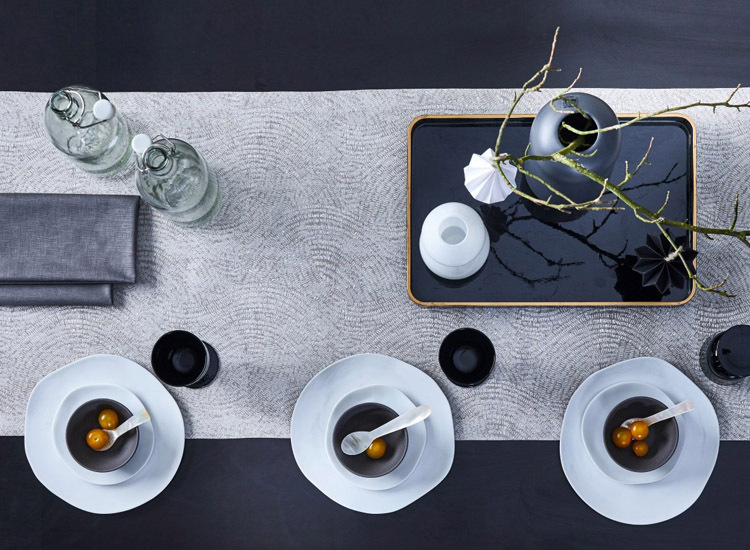 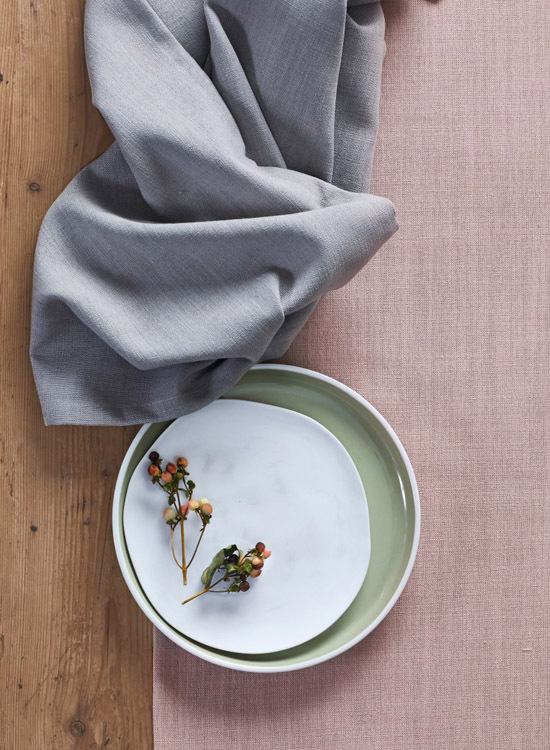 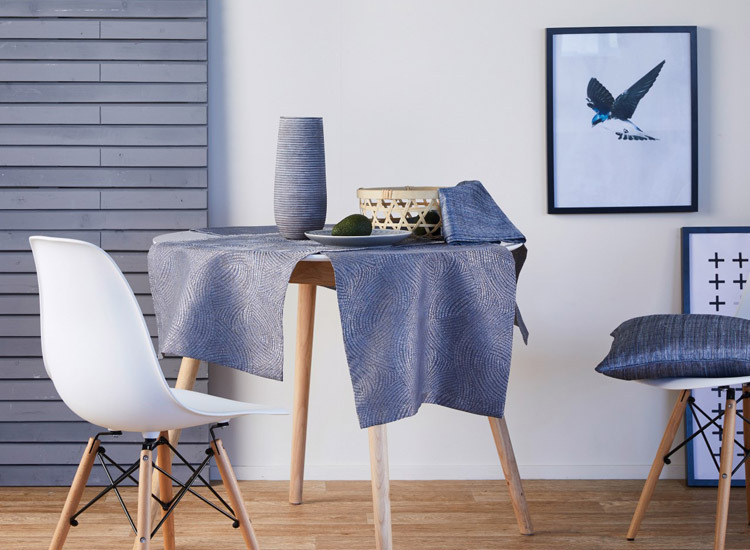 TABLE LINEN IN DIFFERENT NATURAL AND EASY-CARE SYNTHETIC MATERIALS, CUSHIONS, SERVIETTES, TABLE SETS, RUNNERS AND TEXTILE ACCESSORIES. 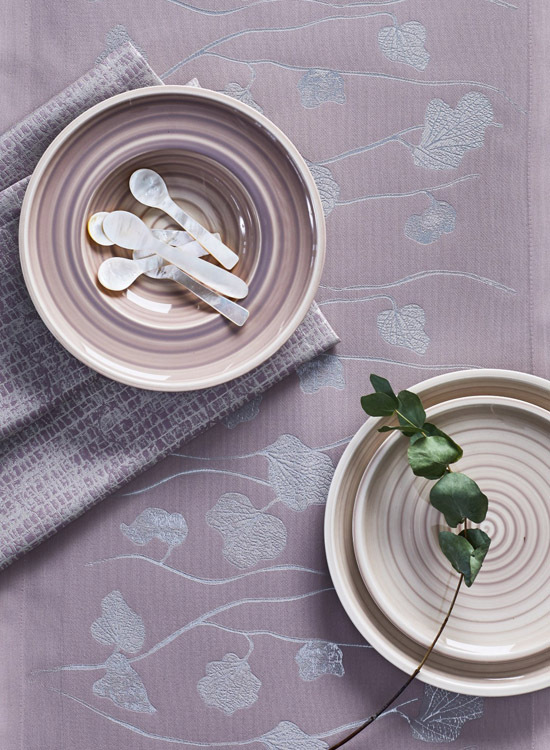 A variety of motifs and materials provide a diversified picture in the autumn collection. 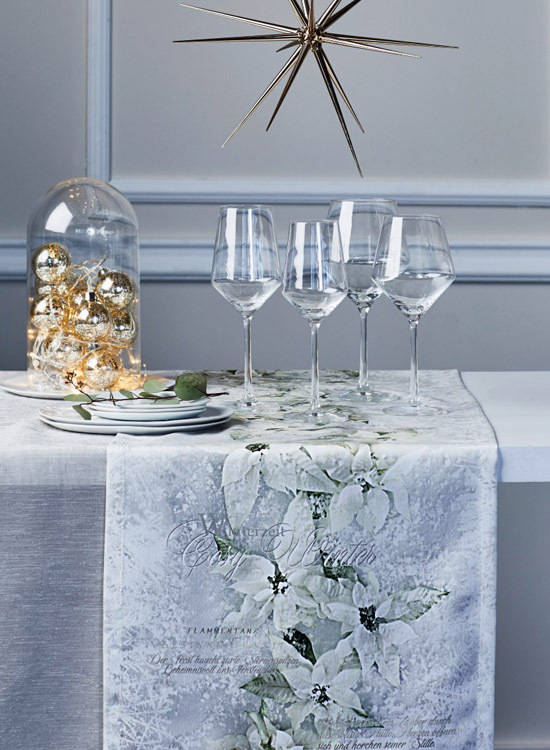 Hydrangeas as a classic, in addition, autumn leaves mixed with fruits and classic English roses, create a harmonious ambiance for the tastefully designed table. 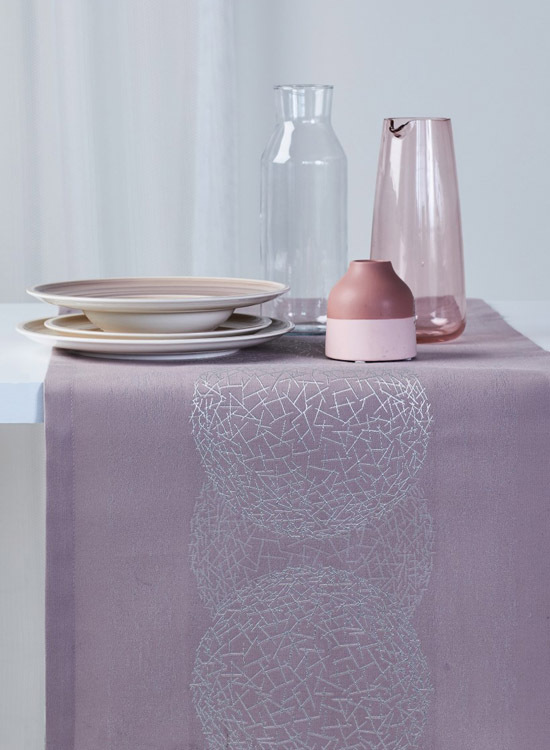 Additionally, a wide plain range with all new trend colours made from easy-care materials! 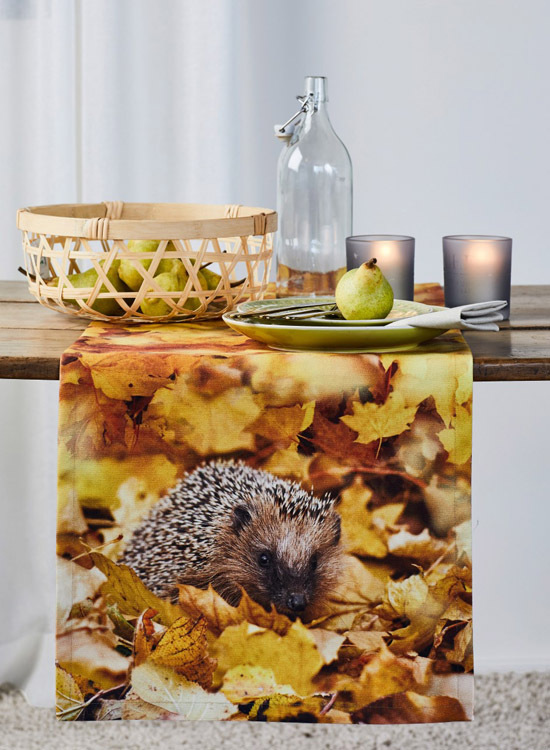 Even those who like it more reduced and graphic, can find here “their” table runner or “their” tablecloth. 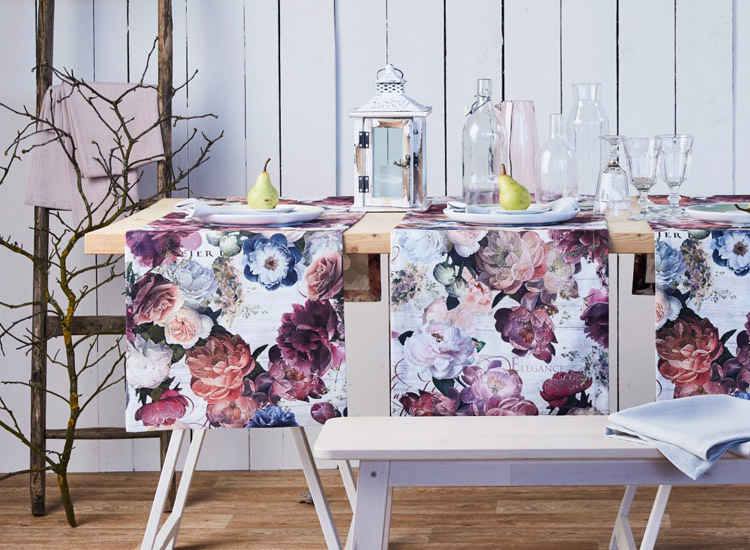 Tables want to be more covered again, and with our loft-colors gray, soft blue and the new pale pink, nothing stands in the way of a stylish decoration. 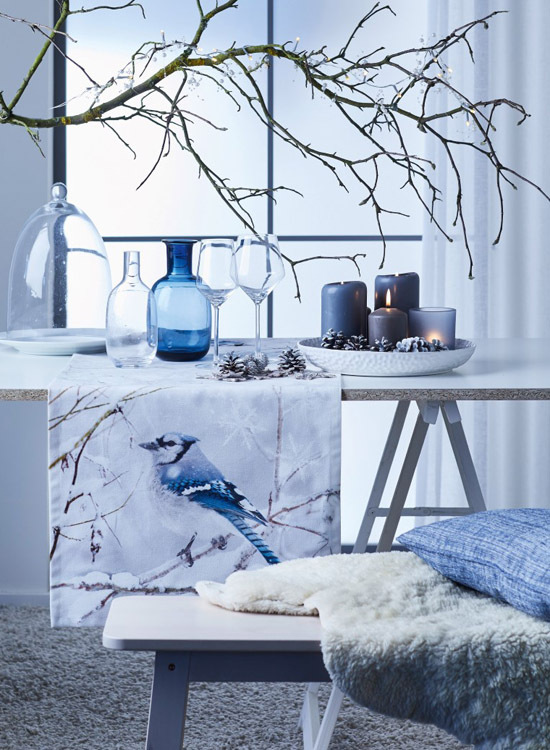 When it gets cold outside, we want to have it even more cozy and homely. 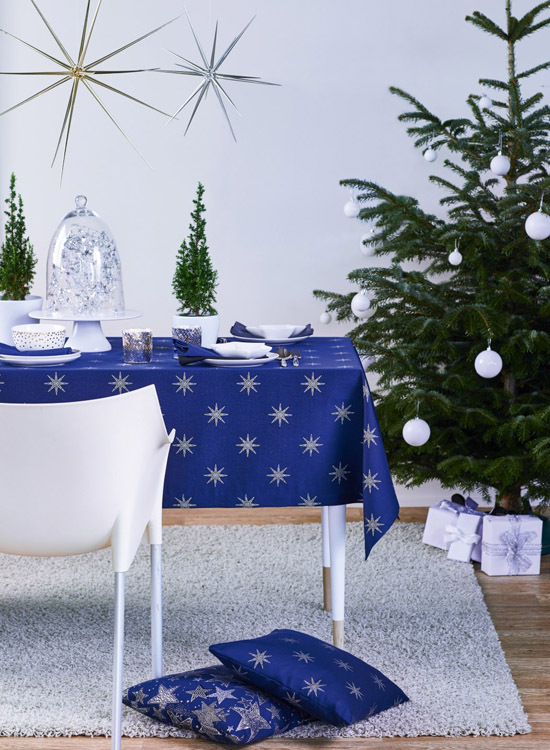 Country-style, modernly interpreted for autumn and the pre-Christmas season with fashionable, chic motifs. 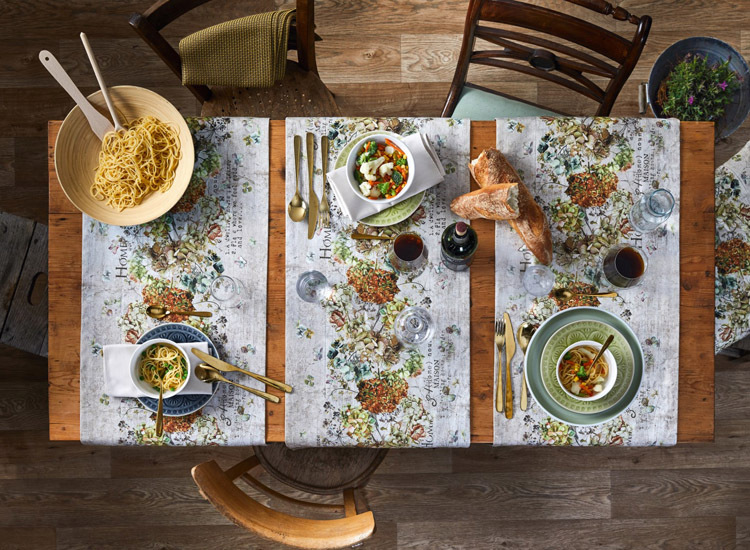 And completely new: the technically sophisticated and lovingly designed Gobelin-tapestry series with cottage charm. 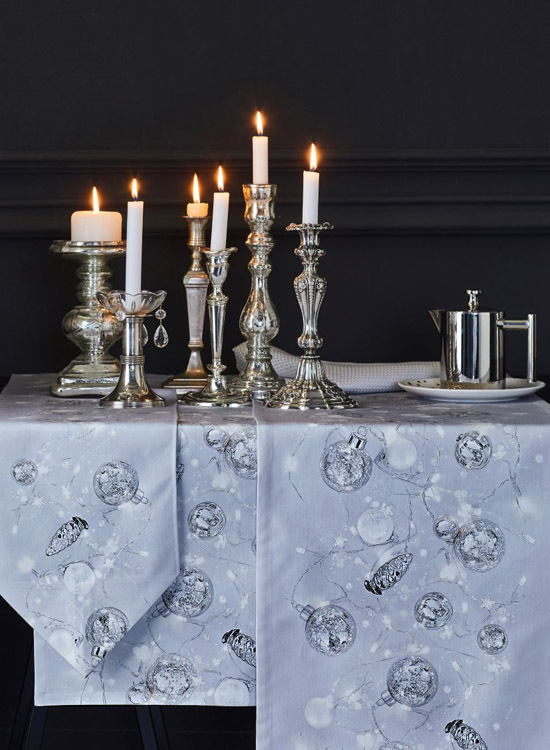 When Christmas approaches, the elegantly laid table with beautiful table linen and luster and festive motifs comes into focus again. 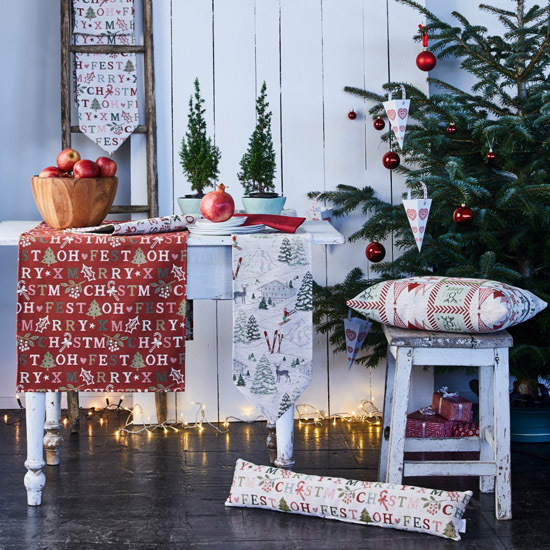 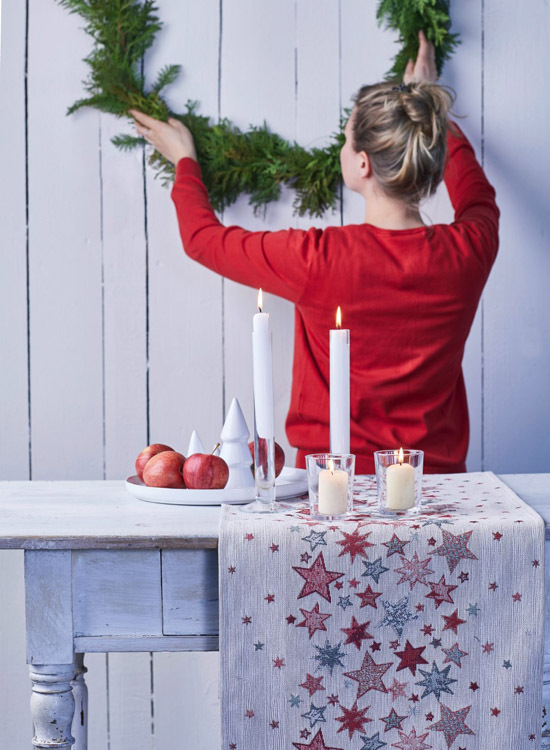 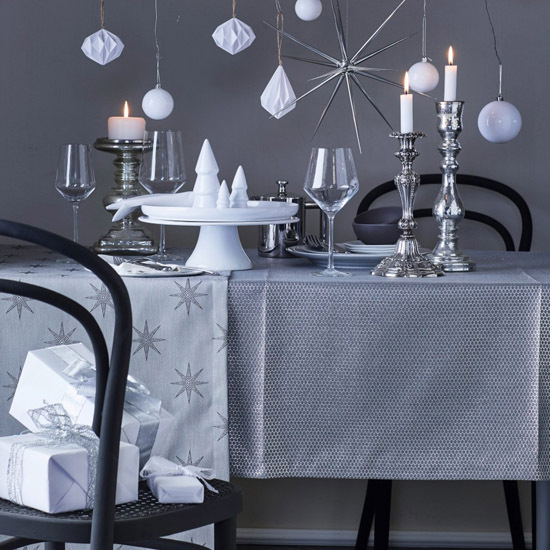 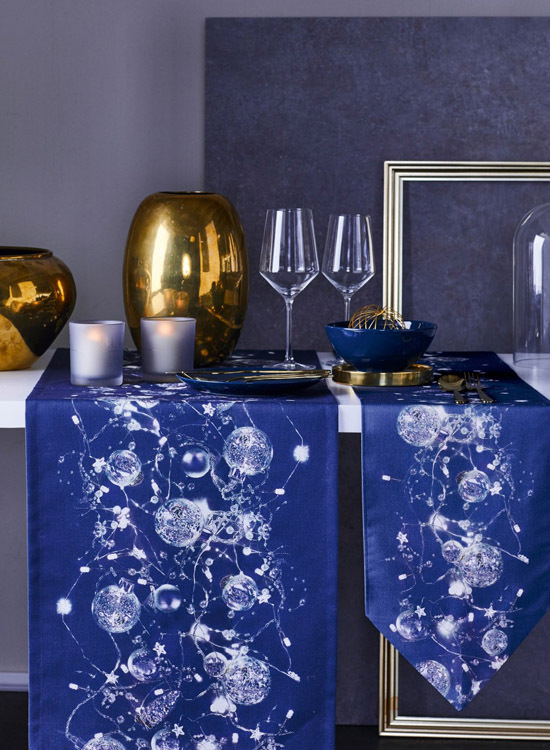 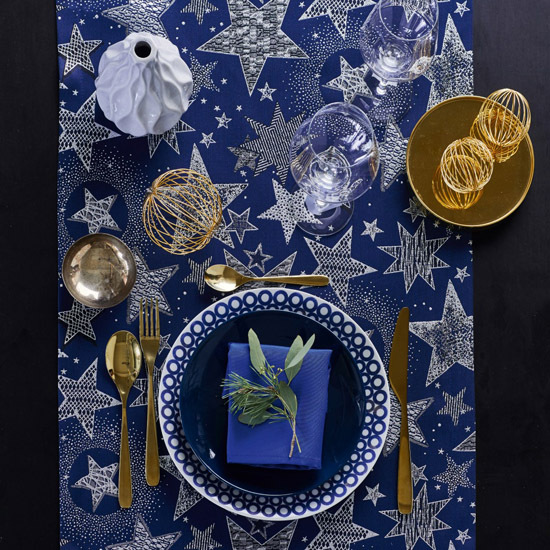 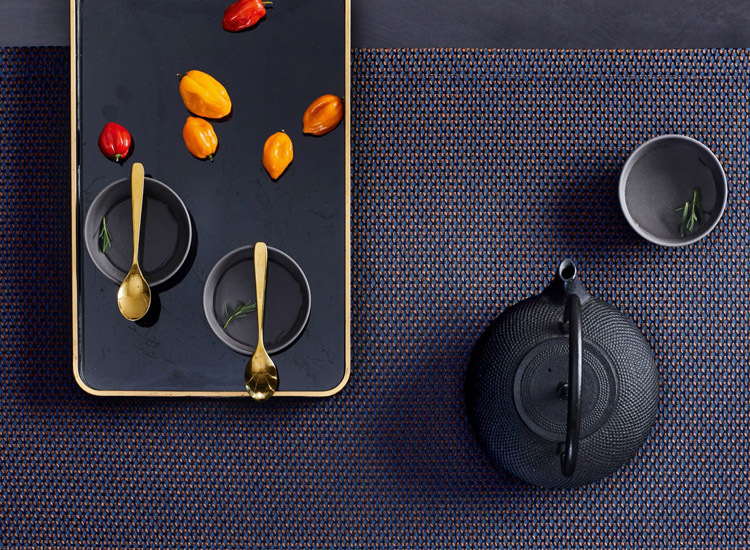 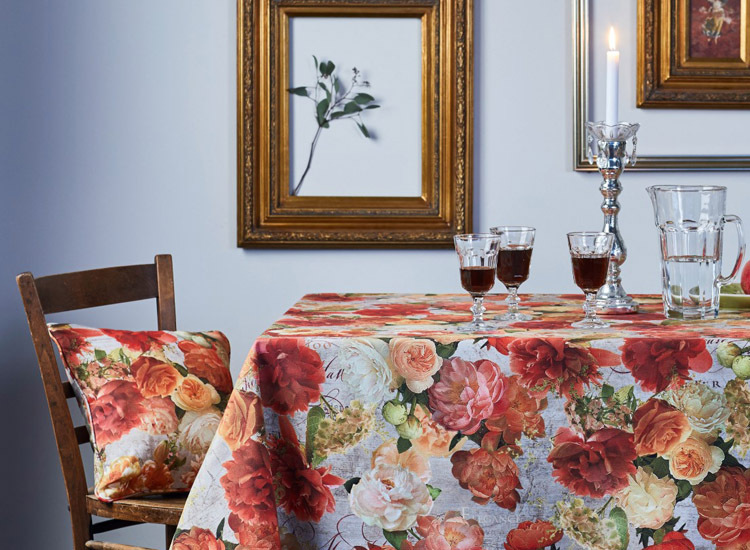 As specialists for beautifully woven Christmas motifs, for excellently printed fabrics, supplemented with elegant basics, here, you can find everything that is needed for the Christmas table.